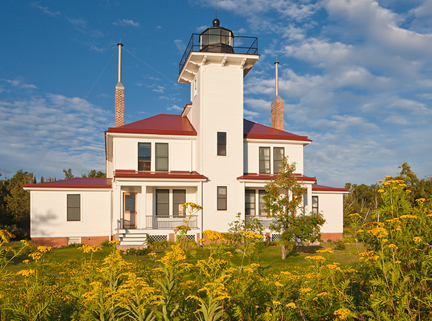 For well over a century lighthouses have guided mariners through the waters of Lake Superior and the Apostle Islands. Today, these historic island beacons are a traveler's treasure and a rich part of Wisconsin's maritime history. Our Celebration presents island cruise opportunities that dock at Raspberry, Michigan, Sand, Devils and Outer Island and offer guided tours of these lighthouses. Other cruises include the new Chequamegon Bay Lighthouses Cruise, and the popular Ultimate Lighthouse Cruise; a non-stop voyage to see five of the eight lighthouses from the comfort of your cruise boat. Cruise Lake Superior's Apostle Islands National Lakeshore and learn about the Keepers and their families that lived and worked in this secluded setting among the Apostle Islands on the greatest of the Great Lakes, Lake Superior. 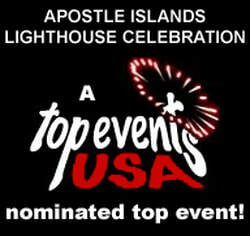 Lighthouse Celebration cruises are provided by Apostle Islands Cruises.